Can medical and aromatic plants be an alternative to hazelnut in the Western Black Sea Region? In this study, it was investigated whether medicinal and aromatic plants can be an alternative to hazelnut cultivation, by direct interview method on 154 people living in the Western Black Sea Region (Düzce, Sakarya, Zonguldak and Bartın), which produces hazelnut by 27% of Turkey. 154 students were surveyed by using Neyman method. Likert scale was used to measure whether the medicinal and aromatic plants could be alternative to hazelnuts and the results were evaluated by SPSS method. In our study, 154 people with different professions (farmers, civil servants, workers, retired, students and unemployed), different educational levels (literacy, primary education, secondary education, high school and university) and different income levels were included in the survey. As a result of the study, 97.4% (including 92.2% of those who grow hazelnuts) want to grow medicinal and aromatic plants as an alternative to hazelnuts. 97.4% of medicinal and aromatic plants are considering to grow linden and black sesame. There are also people, at a rate of 81.8%, who think that medicinal and aromatic plants are organic and 66.2% of them also think that organic certification should be obtained for cultivation. 24.7% of them use medicinal and aromatic plants as an alternative to medicines when they are sick. As a result, medicinal and aromatic plants are important in our lives as an alternative to medicines. Considering the importance of alternative plants in the future, it is seen that in the Western Black Sea Region, even if at limited number, there is a tendency towards medical and aromatic plant farming besides hazelnut farming. Alkan, H. I. (2006). Comparative Economic Analysis of Hazelnut Growing in the Plain and High Sections of Samsun province of Terme district, OMÜ Institute of Sciences, M.Sc. Thesis, Samsun. Anonymous, (2005). Medicinal and Aromatic Plants Working Group-ECP/GR. Anonymous, (2011). TSI (Turkey Statistical Institute Data base). Sıray, E., Duyar, Ö., Özdemir, F., Ertekin, F. (2012). Determination of Education and Publication Infrastructure Needs in Hazelnut Growing in Western Black Sea Region. 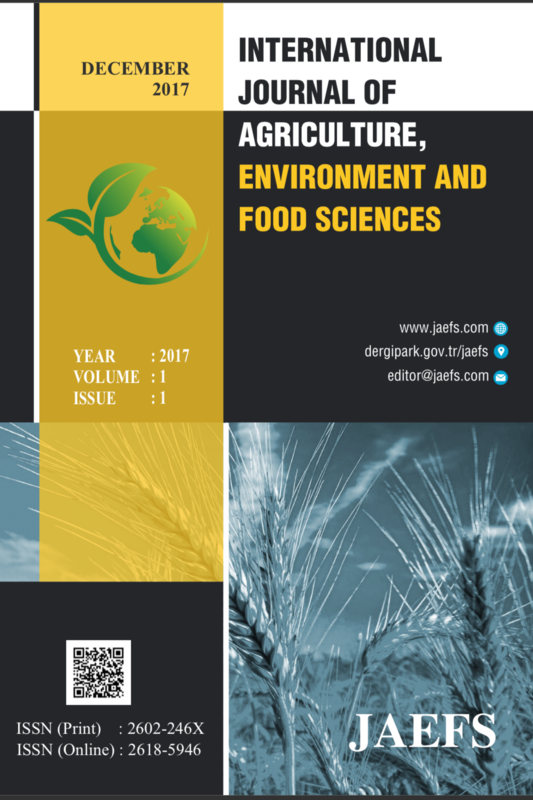 Journal of Agricultural Faculty, 2012, 29 (2), 9-18, Giresun. Bayram, E., Kırıcı, S., Tansı, S., Yılmaz, G., Arabacı, O., Kızıl, S., Telci, Đ. (2010). "Possibilities of Increasing Production of Medical and Aromatic Plants". Turkey Agricultural Engineering Technical Conference Proceedings Book-I, 437–456, 11– 15 Ocak, Ankara. Sıray, E., Akçay, Y. (2010). A Research on the Determination of Economic Analysis, Production and Marketing Problems of Hazelnut-Growing Enterprises in Giresun Central District. GOU Faculty of Agriculture Magazine, 27(1).